It’s custom vs. universal feel in today’s mattress comparison. Helix is a new, completely customizable mattress trying to put up a fight against the online veteran, Casper. Will the new kid on the block take down the ultra popular veteran? Continue reading to discover who will win the battle in our Helix vs. Casper mattress review comparison. Completely changing the game, Helix Sleep takes a different approach when constructing their mattress. 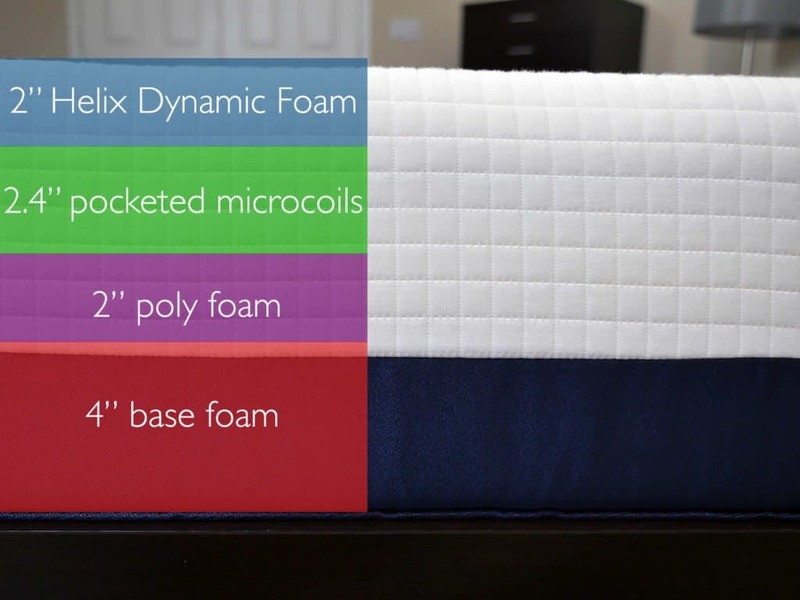 Built from 4 layers of poly foam and microcoils, this 10″ mattress is tailored to each and every consumer. After taking a short mattress quiz, Helix determines the order of layers, foam density, and firmness for each individual’s mattress. The following layer information / diagram is based on the custom Helix mattress designed for me. Your custom mattress will have many of the same materials, but the layer order and densities will likely be different. Top layer (comfort + cooling) – this is a 2″ layer of Helix Dynamic Foam, a comfort poly foam. It has a feel very similar to latex, creating great bounce, cooling, and responsiveness. This foam varies in firmness based on the sleeper’s needs. The indentation load deflection (ILD) ranges from 10-30. ILD is a measure of firmness. Lastly, this foam has a density of 3.0 PCF (pounds per cubic foot). 2nd layer (pressure relief) – 2.4″ layer of microcoils. Providing softness, pressure relief, and a nice bounce, these miniature coils help give the Helix a slight innerspring feel. The ILD of the microcoil layer is always 18. 3rd layer (support) – poly foam transitional support layer, 2″ thick. In addition to helping the base layer and comfort layers work together, this layer provides both support and deep compression support. It has an ILD of 20-26. This layer has a density of 1.8 PCF. Bottom layer (foundation) – contains 4.0″ of high density support foam. Acts as a strong support base for the above comfort layers. Ranges from 26-33 on the ILD scale. This layer has a density of 1.8 PCF. Built from 100% polyester, the Helix mattress cover has a modern aesthetic look and durable feel. The white checkerboard piece of fabric is quite soft while the blue side panels have a sturdier feel and work to protect the mattress. In addition, the cover is relatively thin and has no padding. This allows the mattress to breathe, improving cooling features and giving sleepers the chance interact more closely with the foams and microcoils. Usually in this section I would dive into the qualities of the Helix, such as firmness, comfort, support, cooling, bounce, and other feel factors. Yet, with this being a customized mattress that makes this a tad bit difficult to tackle. Before ordering your mattress you have to complete their specialized mattress quiz. This quiz helps them determine the exact firmness, cooling, support, sleeping positions, and any medical conditions you may have (optional). After completing the short series of questions, Helix is able to design each individual a mattress that is based on the sleeper’s needs, requirements, and desires. Due to my mattress being custom made for my height, weight, and body type, I’m going to stay away from discussing the actual feel. 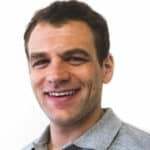 Instead, I will highlight the customized examination process with regards to what it covers and how it determines the right mattress for you. 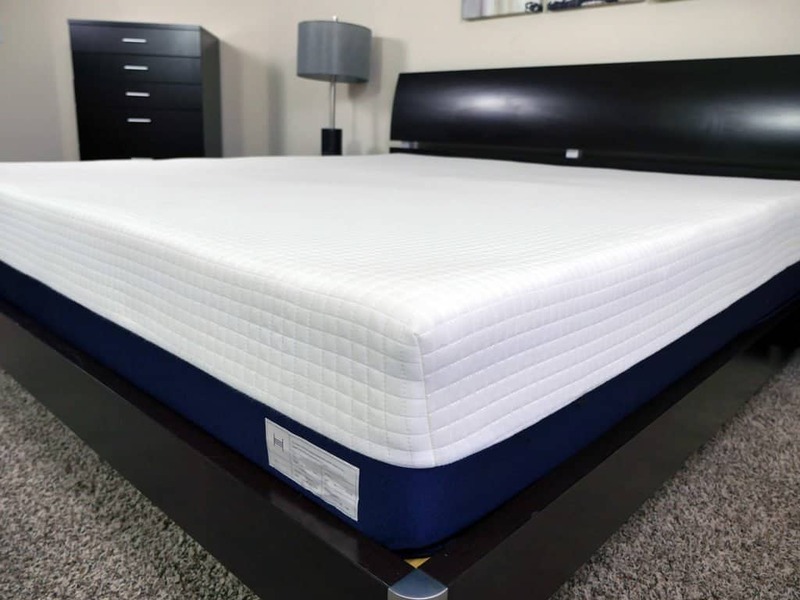 The Helix mattress quiz covers the following topics: mattress size, number of sleepers, gender, height, weight, body type, sleeping positions, cooling needs, firmness preference, medical issues, and any sleep related pain. Once you have completed the assessment your results will be filtered into 4 different categories: point elasticity, support, feel, and temperature regulation. Point elasticity – this section refers to how the mattress contours and conforms to the shape of your body at certain points. Support – with the goal of not creating pressure points, your sleeping position, height, and weight determine the level of support you’ll need for optimal alignment. Temperature regulation – the final pillar touches on how hot or cool you sleep. Those that sleep hot will need a special construction while others only need something that doesn’t warm up. 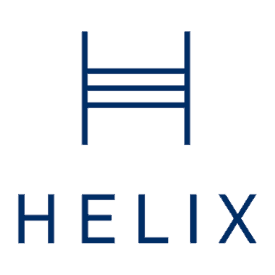 With all that said, a major benefit of the Helix mattress is the ability to create a blended or split mattress for you and your partner. A blended mattress combines the quiz results from you and your partner, creating a mattress that will suit both of your needs. A split mattress is built just as it sounds. 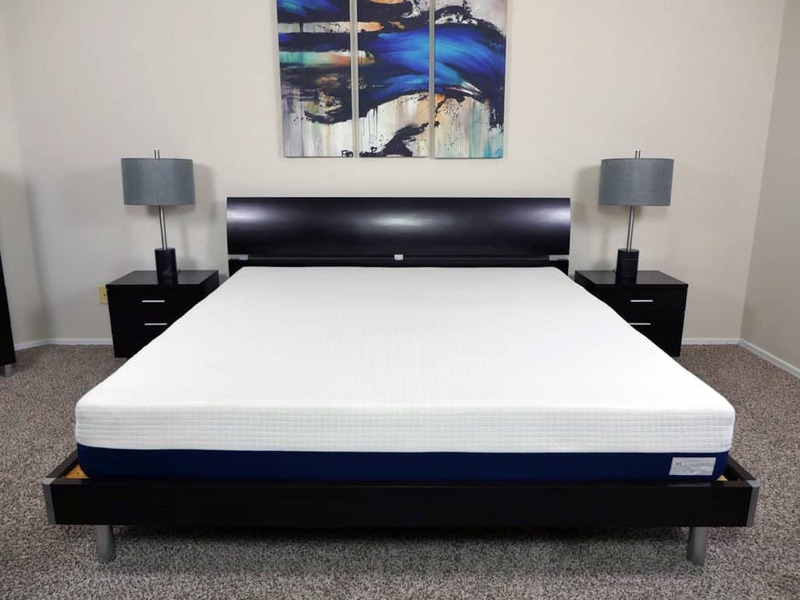 If you know you and your partner’s needs are far from similar, the mattress can literally be built with two custom sides and seamlessly sewn together to form one mattress. Shipping – free shipping to both US and Canada. Takes 1-2 days to make the mattress and 6-10 to arrive at your house. The Casper is a 4 layer 9.5″ all foam mattress. Top layer (comfort + cooling) -1.5″ of synthetic Dunlop latex foam. This layer has nice bounce, cooling, and responsiveness. It has a density of 3.3 PCF (pounds per cubic foot). 2nd layer (contour) – this layer is designed for contour and pressure relief. Consists of 1.5″ of memory foam and placed directly below the latex foam. By placing the layer of memory foam below the layer of latex the top sleeping surface is able to stay more cool. This memory foam has a density of 4.0 PCF. 3rd layer (transitional support) – this a 1.5″ poly foam transitional layer. It helps ease the transition of sleepers from the top comfort layers into the more supportive base foam. It has a density of 2.5 PCF. 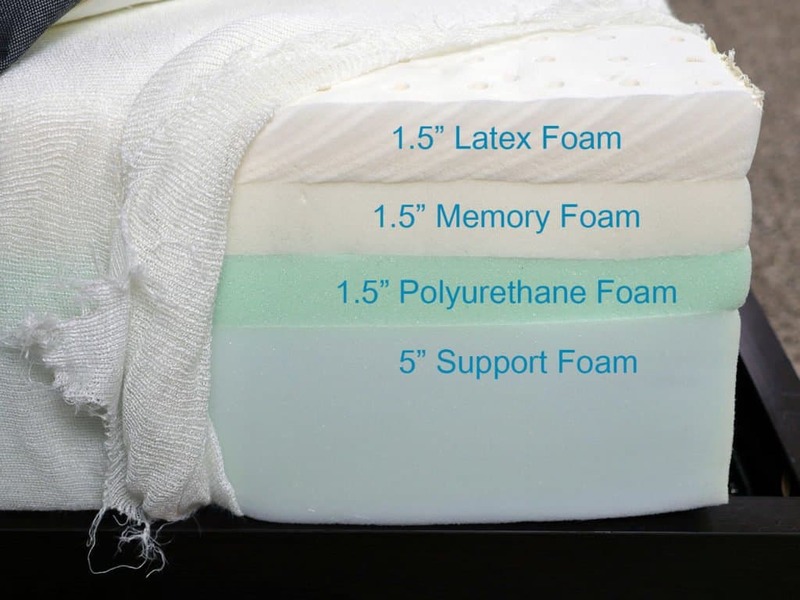 Bottom layer (support) – 5.0” support foam layer acts as a foundational base and provides shape for the mattress. It has a density of 1.8 PCF. Casper offers a 2-tone design that has become something of the standard aesthetic for the online mattress industry. The white fabric on top is made up of 100% polyester. Fairly porous, the cover works to improve breathability and surface cooling on the mattress. The grey side panels make their way here from Belgium, while the white fabric is sourced and made in the USA. Sitting at a 6-7 out of 10 on the firmness scale (10 being the most firm) Casper is considered a medium firm. Classified as a “universal comfort” mattress, it is designed to fit the needs of most sleepers. Heavier sleepers will find the Casper to be a tad firmer (7 out of 10). This is due to the increased amount of sinkage, Sinking more will put these sleepers in contact with the more dense and harder layers. Typically, this is the case with those sleepers who are over 200 pounds, but especially anyone 250+ will experience this more drastically. With an ample amount of softness, Casper produces a fairly pronounced hug around your body. Given that I weight 140 pounds, I saw about 2″ of sinkage while lying normally on my back. 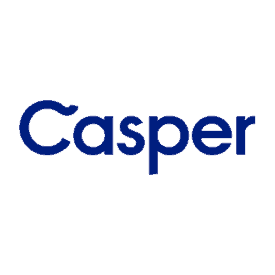 Going away from traditional memory foam, Casper does not exhibit the trapped feeling that can sometimes accompany traditional memory foam mattresses. 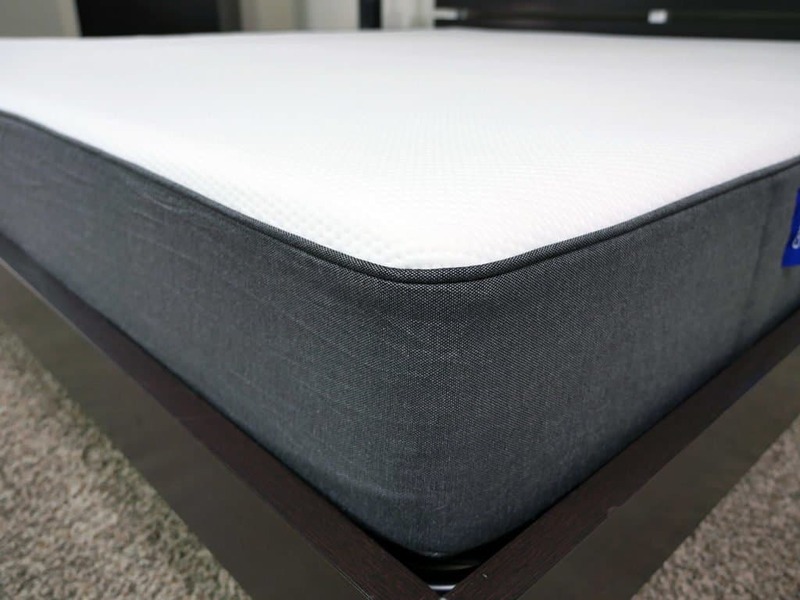 Memory foam tends to have a sharper contour to the sleeper’s shape. A top layer of latex allows the sleeper to sink a similar amount, but does not create an overly exaggerated memory hug. The latex offers great response and bounce. That said, support on the Casper is average.